Clubs frequently want to send emails to specific groups of members — all unpaid accounts, for example, or a group of Wait List accounts who are being offered membership. MailChimp allows you to create segments of your list based on various criteria. The segments can be auto-updating so that something like a segment based on payment status will change in real time as your members make payments. To create a segment you need to log into your MailChimp account at https://mailchimp.com. Once logged in, click on Audience at the top of the screen (note: Until March 2019 this link was called Lists. MailChimp changed their interface and now refers to it as Audience). From there you can select which Audience (list) you wish to work with or view all of them and add new ones. Most clubs only have a single audience, normally titled All Members. 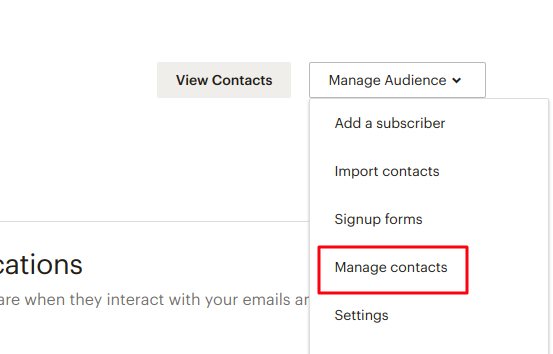 Once you have selected your audience you can choose Manage Contacts from the Manage Audience dropdown to view and create segments. From the Manage Contacts screen click on the Manage Contacts dropdown to view and manage segments. Click on Create Segment to start defining the filters for it. MailChimp gives you the option to filter contacts based on those contacts meeting ALL of the specified conditions or ANY of the specified conditions. This is an important restriction because it means you can’t readily filter by members who belong to Account Type One OR Account Type Two AND are unpaid. 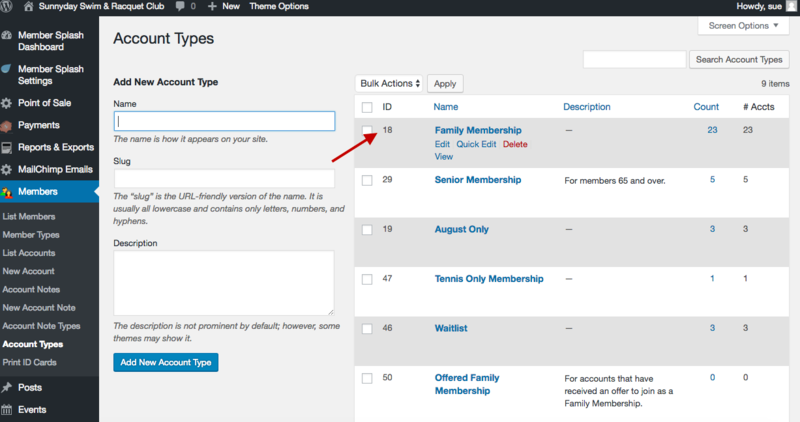 Depending on the number of account types you have you can frequently work around this by choosing ALL as the matching logic and then looking for members who are unpaid and are not account type X and are not account type Y.
MailChimp supports up to five filter conditions which may not be enough to achieve as fine-grained a segment as you intended. For example, if you have 10 account types and you wish to send a message to all unpaid members belonging to two of those account types you aren’t going to be able to use the method above. One option is to create two segments, one for each of the account types, and then send the email twice (send to segment A, then duplicate and send to segment B). A second option would be to use the trick above filtering out account types that definitely shouldn’t get the email — like Wait List — and then noting at the start of the email which account types it does apply to. Again, this is much simpler to manage on your end and ensures that all members who are supposed to get the email do and those it doesn’t apply to understand that and aren’t confused. Once you have selected the various filters for your segment hit the Preview Segment button. It will show you how many members match the criteria as well as a list of each member and their details. If everything looks correct you can save the segment or hit edit to make further changes. Member Splash polls for updates to your list segments and email templates approx. once an hour so when you create a new segment you might not see it immediately when you go to create an email in your Member Splash site. You can either send the email directly from MailChimp or just click on MailChimp Emails -> MailChimp Options in your pool website dashboard and then click on Reset API Data — that forces it to update (without losing any of your data).